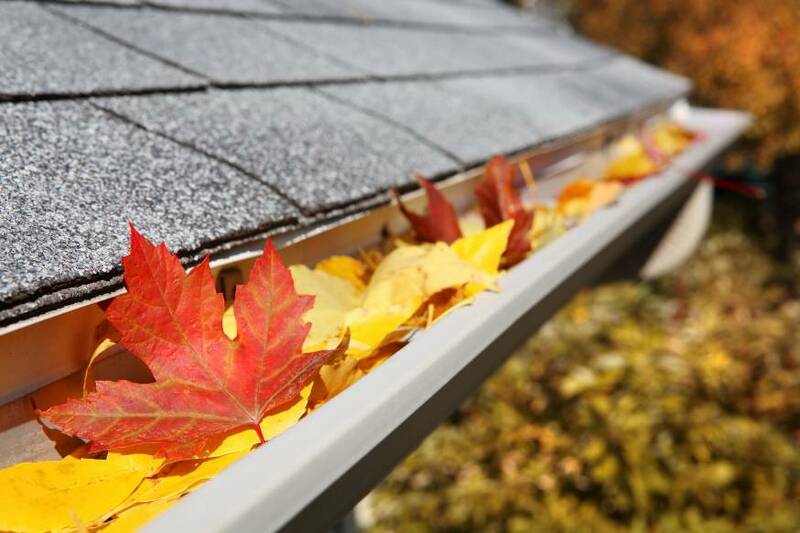 With Fall already here, it’s important to remember that even a recently painted home needs a bi-annual gutter cleaning to prevent damage and to keep a pristine look overall. Not only are you preventing an overflow of water and ice in the Winter to come, but you are protecting the structure of your home. In general it is recommended to clean the gutters twice a year; once around Spring’s end and once in the Fall. There are exceptions however . If you live in an area surrounded by pine trees you might want to consider four cleanings a year. If you have little foliage hovering above your home or you can only make it to one cleaning, choose the Fall. In this case, clean once most of the leaves have fallen from your trees. Cleaning your gutters seems trivial, but you are going to save a lot of money as you avoid cracks in the foundation, leaks which lead to interior damage or mold, and excess debris on your driveway or yard. Also you will discourage wildlife from nesting around the house which saves you the trouble of calling animal control or the exterminator.There are numerous reasons why you should clean your gutters, and it is a fairly simple task despite the messiness it entails. Start by setting up a sturdy ladder that you can attach your bucket to. Have a spotter for safety. Make sure to start cleaning near the downspout .This will ensure you are moving debris away from the exit and not pushing it towards the drain where it will get stuck. Dispose of all debris into the bucket and empty as needed. Once all major debris is removed take a hose and clear the remaining dirt opposite the downspout. Make sure to clean off any strainers. If you have had a recent injury, are pregnant, or you have other physical restrictions find someone you know who can help, or consider looking for a service. If you are having your home painted, cleaned, or repaired in any way ask the company providing the service if they could offer a special discount to clean your gutters. Most gutter services alone can be from $75 to $200. This cost is small compared to the consequences of a cluttered gutter. If you waited too long, you may need to consider replacing one or more of your gutters. If your home is severely damaged, get the necessary repairs, and consider Good Faith Paint Company for your next exterior paint job or deck staining.